Come and join us at Yukon College and Yukon Arts Centre and spend an unforgettable week learning from outstanding faculty and playing music with others. From the tiniest tots to the tallest teens and adults of all ages; from beginners to professionals – there’s a perfect class for everyone at Yukon Summer Music Camp. Not sure where you fit in? Age and experience requirements are listed for each class. Participants are rarely at exactly the same level of skill or knowledge so our instructors prepare lessons for a range of abilities and experience. Some lesson material might challenge you; other parts may be a review. The idea is to have fun while learning, wherever you’re at! Yukon Summer Music Camp has been running successfully for over 30 years! Yukoners and visitors gather to polish their musical skills, learn new instruments and styles, and make friends. Guided by some of Canada’s top music educators and supported by dedicated volunteers, Yukon Summer Music Camp has helped to build the Yukon’s vibrant music scene and national reputation for rearing fabulous musicians. Yukon Music Camp Society (YMCS) is a non-profit organization registered under the Yukon Societies Act. 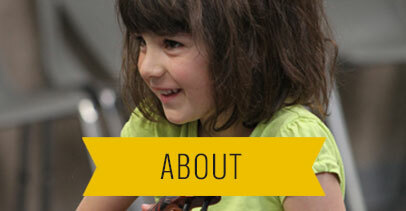 Our purpose is to assist in the education of Yukon musicians by sponsoring and organizing music camps in the Yukon. A summer music camp program has been offered in Whitehorse since 1987. The Yukon Music Teachers' Association organized the Summer Music Camp for many years and its continual growth and success led to the creation in 1999 of the Yukon Music Camp Society. The society has organized the annual Yukon Summer Music Camp ever since. Local professional musicians, music teachers, parents and music enthusiasts are all represented on the society’s Board of Directors and our range of interests are directly reflected in the design of the classes offered by the camp. We always welcome suggestions for classes. We’re fortunate enough to receive funding to hire a paid coordinator who manages administration, production and the day-to-day operation of the camp. The society is grateful for the support of local associations involved in music education and performance including: Yukon Music Teachers’ Association, Suzuki Strings Association, Whitehorse Community Choir, Yukon Music Educators’ Association, Whitehorse Concerts, Yukon Arts Centre and Jazz Yukon. Ecological Logistics & Research Ltd.